Welcome to the Great Bear Foundation Shop, where your purchases support bear conservation! 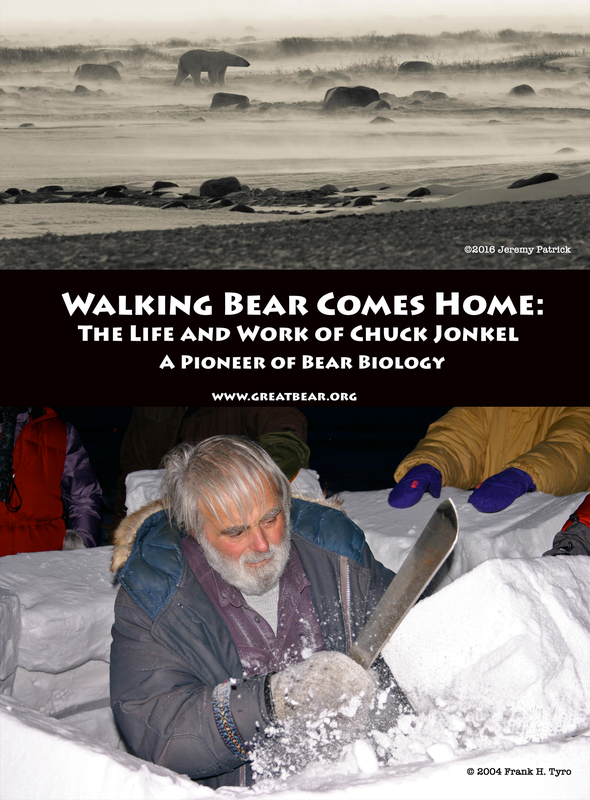 After conducting the world’s first capture-and-handling studies on black bears in Montana, Chuck Jonkel explored the Canadian Arctic, pioneering the field of polar bear biology. 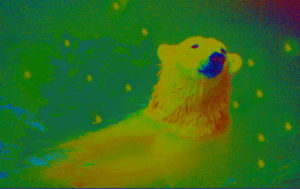 Walking Bear Comes Home examines Jonkel’s contributions to wildlife biology, conservation, and community through interviews and archival footage. For international orders, or to pay by check, please contact us. Public performance rights must be purchased in addition to the video for public screening. Contact us to request a filmmaker to be present at your event. Travel expenses may be required, and a donation is appreciated. Purchase the film, with bonus features, as a digital download! Public performance rights must be purchased for public screening. You will be taken to a third party site to complete your purchase–at this time, the digital download requires a separate transaction from other purchases at our shop. But, you can always return to our shop and purchase additional merchandise separately! 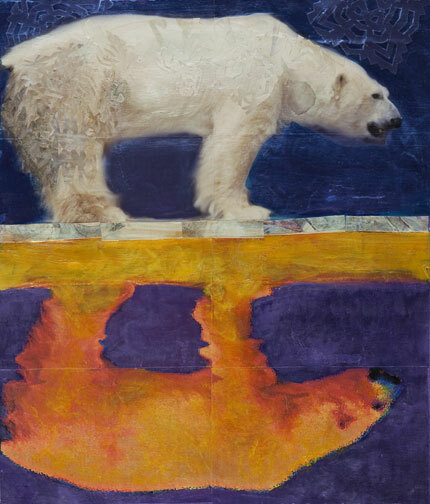 Your purchase supports bear conservation. 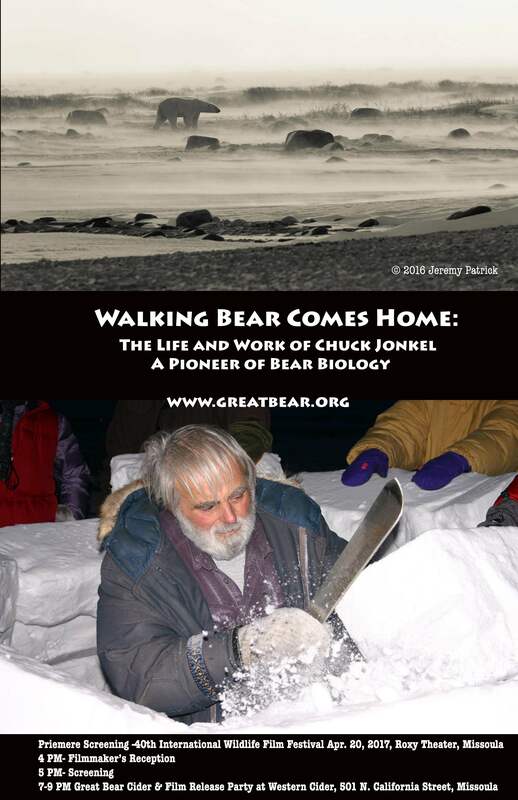 Commemorate the release of this first-ever documentary film about the life and work of Charles Jonkel with this official limited edition Walking Bear Comes Home world premiere poster. Chuck had a special affinity for event posters, and maintained a large collection of similar posters from the International Wildlife Film Festival, where the documentary premires. The 11″x17″ full-bleed color poster includes event details from the premiere screening and related events in Missoula on April 20, 2017, beneath the DVD cover art. Shipping will be calculated at checkout. For international orders, please contact us. This pewter refrigerator magnet is a miniature copy of an actual track from the front paw of a grizzly bear, originally cast in plaster by Dwayne Ehli on the banks of the North Fork of the Sun River in the Bob Marshall Wilderness in 1958. The original track measured over 12″ from heel to claw, but this magnet measures a quaint 2″, and is backed by a powerful magnet that stays securely on the refrigerator, despite the heft of the real pewter. 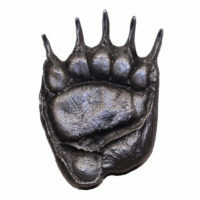 The process used in casting remarkably preserves the details of the original front paw print. Shipping will be calculated at checkout. Shipping discount for multiple items. 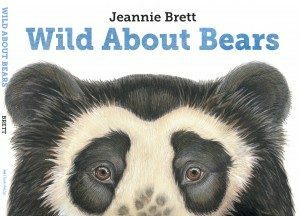 Learn all about bears with Jeannie Brett! This beautifully illustrated children’s book contains accurate information on all eight bear species with an approach that’s fun for kids and interesting to adults as well! 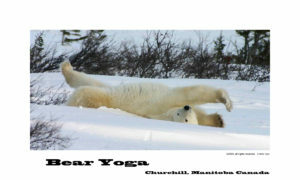 Endorsed by the Great Bear Foundation.